JacobsMassey provides live streaming services for companies who need to deliver high-impact productions that captivate their audience. With Facebook and Youtube now offering streaming services to vloggers, it is fair to say that live streaming has really arrived. The rapid adoption of this new format means that the live video streaming market is expected to more than double over the next few years. Despite this uptake at the consumer level, many corporate clients remain cautious of adopting this technology in a live environment. At JacobsMassey, we make live streaming simple, adding value by boosting interaction between you and your clients. Your RIBA presentation was what the Aussies would call “bloody fantastic”. A terrific performance!!! The technology was simply amazing. I sat down at my computer at Karaka Bay at 8am Thursday morning (in New Zealand) and watched you live streamed from London. It seemed almost better than being there. Full screen. As though you were in my office. The images were very clear. 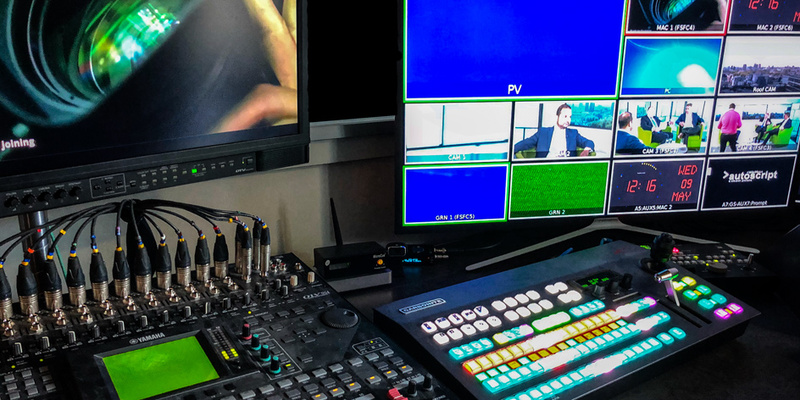 Our stream team provide pro broadcast workflow and webcast services for any live event. Our Consultancy service will put together a tailored solution, built on your existing team and infrastructure, to enable you to offer your clients an entry-level live streaming package.